Apple, Hachette, HarperCollins, Holtzbrinck and Simon & Schuster have offered to overhaul their pricing models in order to settle with the European Commission over anti-trust allegations that the firms colluded to fix e-book prices. All of the accused maintain they are innocent of any wrongdoing, strongly deny the accusations and believe no competition laws were broken. However, they say that settling with the EC will avoid a costly and long-running legal dispute. “For a period of two years, the Four Publishers will not restrict, limit or impede e-book retailers’ ability to set, alter or reduce retail prices for e-books and/or to offer discounts or promotions,” the settlement filing (PDF) read. That is, as long as the total value of discount doesn’t exceed the commission they receive from the publisher over a 12 month period, however. Apple has also promised to terminate its agency agreements with the four firms as well as Pearson. If the settlement proposal is approved by the EC, the move will enable retailers such as Amazon to resume discounting their e-books to European consumers. 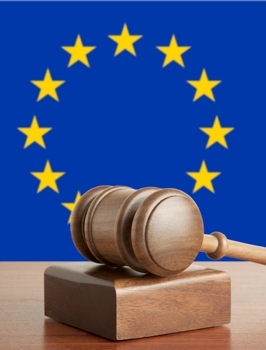 The five companies have also stated in their settlement that they will not enter into any agreements or contracts containing MFN clauses relating to the sale of e-books within the EU for the next five years. Apple said it would not enforce a retail price MFN clause in existing agreements during that time. The EC has until October 19 to decide whether to accept the offer or not and is asking rivals and customers to comment in the meantime. Should the commission accept the offer, it would end the investigation without ruling on whether the five firms violated competition rules, and without imposing fines. In a separate case last month, the US Department of Justice ruled that Apple was conspiring to manipulate e-book prices. Three of the publishers named in the anti-trust lawsuit filed in April settled, but Apple and two other firms refused. The government proposed a settlement to the DOJ to resolve the price-fixing practices. In response to the verdict, Apple said it was “fundamentally unfair, unlawful and unprecedented,” and accused the DOJ of rewriting its contracts without any due process.